Part of any successful interior design with designer furniture are the complementing accessories. 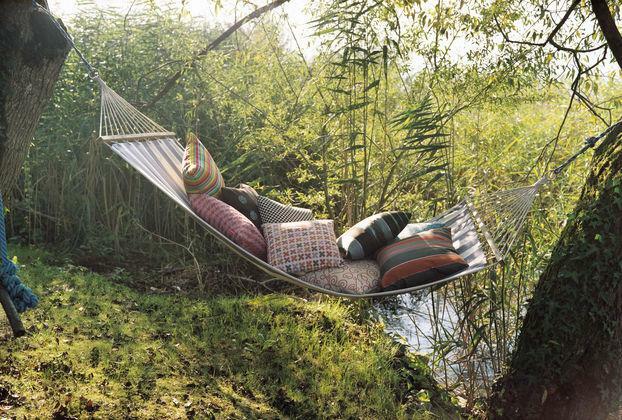 Their use is just as versatile as their nature: they can complement certain furniture or even set the tone in a room. Hardly an apartment or home is conceivable without these small and large "jewels". While beyond their decorative function some accessories are indispensable functionally; such includes not only cushions, clocks, or toys, but also items such as carpets and practical storage accessories. 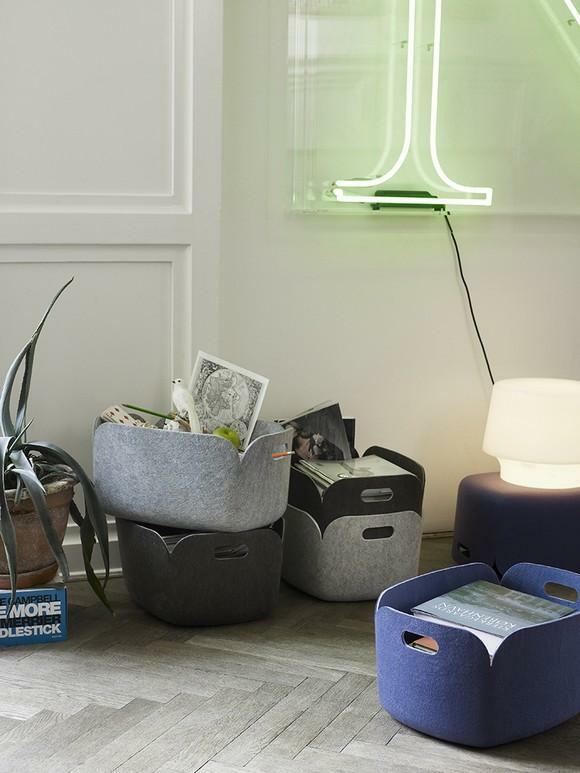 For example, Muuto's Restore Storage Basket is not just functional, but the designers have also considered sustainability in terms of materiality: while these practical storage items are perfectly at home next to any sofa, chair and cabinet, they often result in an overall concept. In terms of accessories tastes vary greatly: while for some shelves of accessories are a prerequisite, others can do without such decoration. In the digital age, classic clocks are often misunderstood as old-fashioned objects of yesteryear - quite wrongly in our opinion! Analog clocks look back on a long history and are considered an important step in our modern-day world. Thus, they should still be given an important status today. In addition, they are also artistic accessories that set special accents in a room. The designer George Nelson developed a whole collection of wall clocks, which are now considered genuine design classics. Nelson is also responsible for numerous table clocks, such as the Tripod Clock - a desk clock in the chic '50s style and still reliable today. 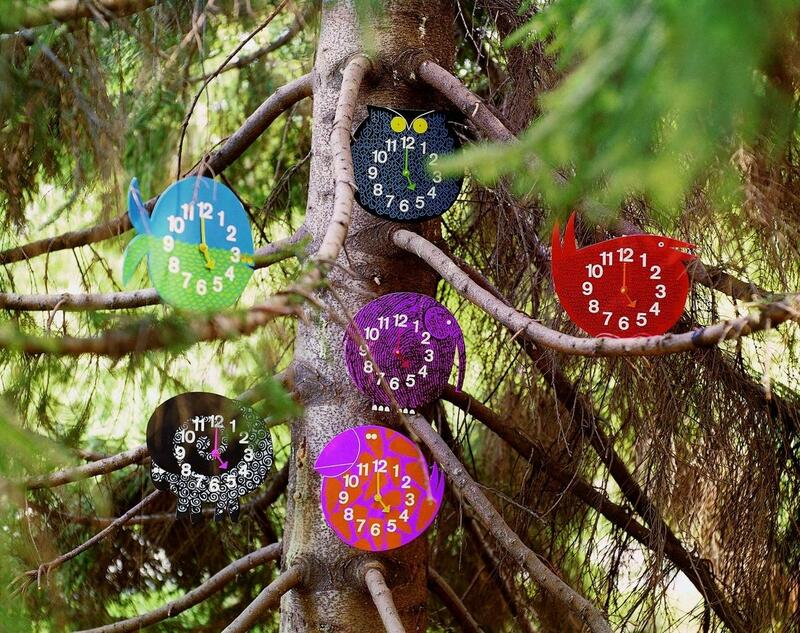 As a brilliant clock specialist, George Nelson has not forgotten even the little ones among us and therefore designed a whole zoo of children's clocks; the so-called Zoo Timers, of which Omar the Owl and Fernando the Fish are two adorable representatives. In addition, contemporary designer accessories cover objects such as the Strap Mirror from Hay or the legendary Wooden Dolls by Alexander Girard, and especially cushions are a popular design accessory. They not only increase the comfort and cosiness of a home, but are particularly decorative with their often elaborately patterned covers and can thus give entire rooms a new flair. Plus, toys bring a playful flair to the world of accessories, as does kids' furniture such as the rocking bird Dodo from Magis or the Eames Elephant. An absolute highlight among the accessories are the Vitra Miniatures, a collection which includes some of the most important seating in the history of furniture design recreated as true-to-life replicas in miniature format. In addition to their ornamental value, the Miniatures also enjoy great popularity as a collector's item.